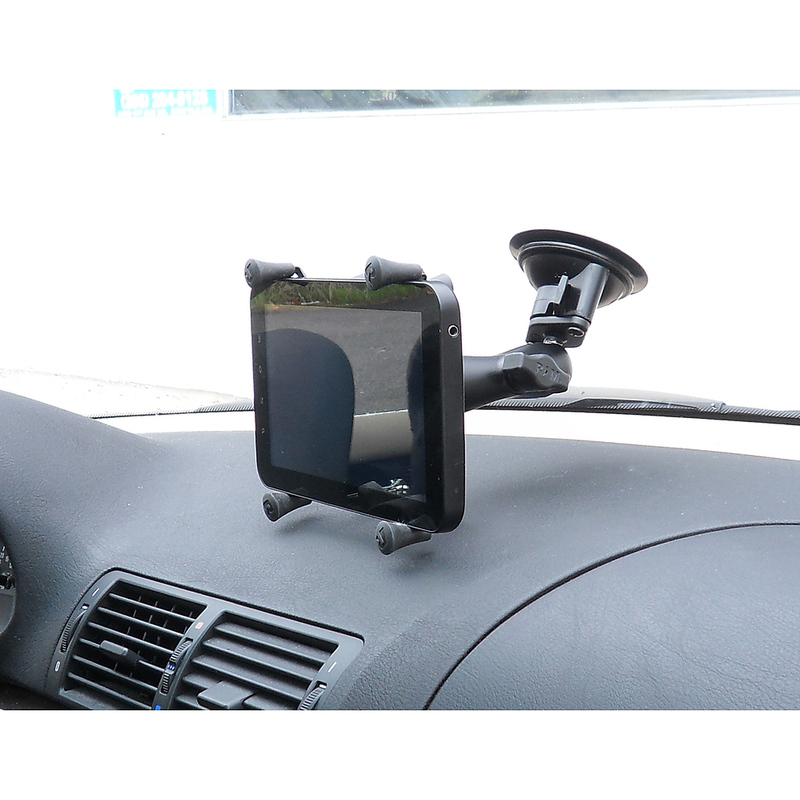 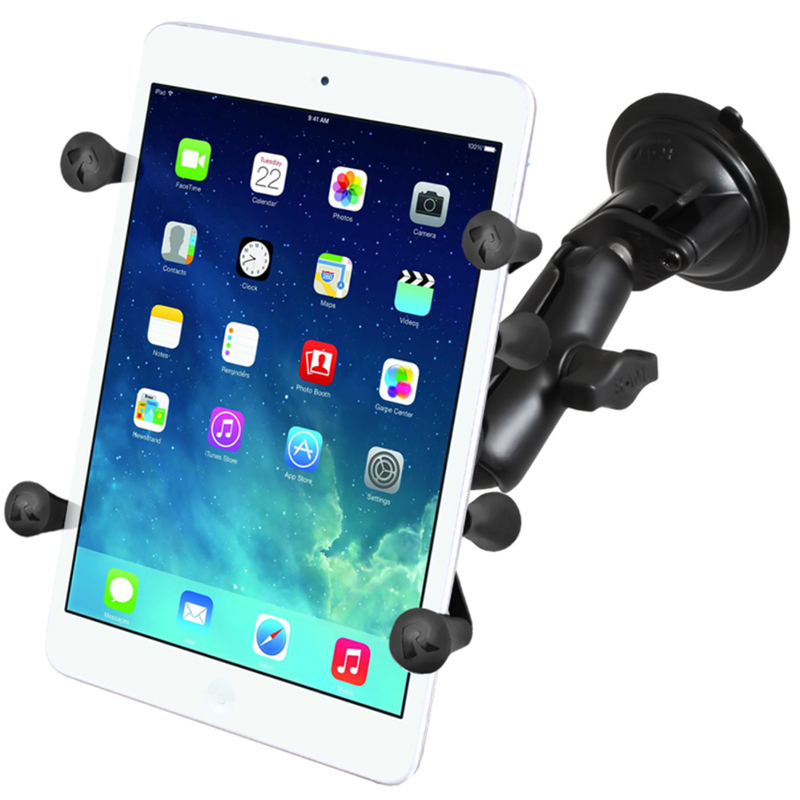 Unfortunately there is only 63 of RAM-B-166-UN8U SUCTION CUP MOUNT UNIVERSAL X-GRIP 7 INCH TABLETS PLUS THE HEMA HN7 left in stock. 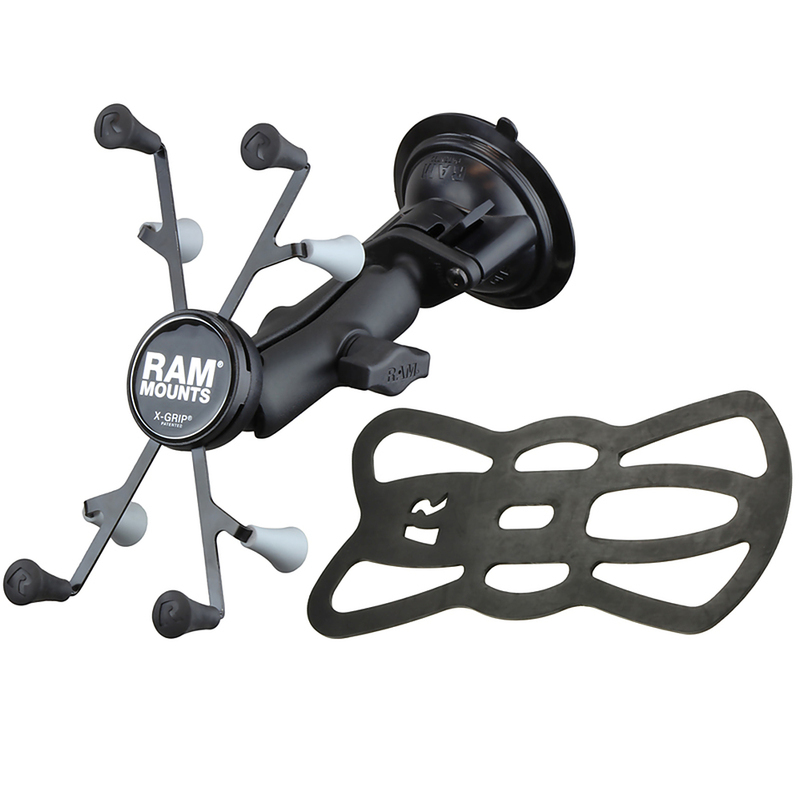 The RAM-B-166-UN8U consists of a 3.3inch twist lock suction cup base, double socket arm and universal spring loaded X-Grip® II holder for 7inch tablets. 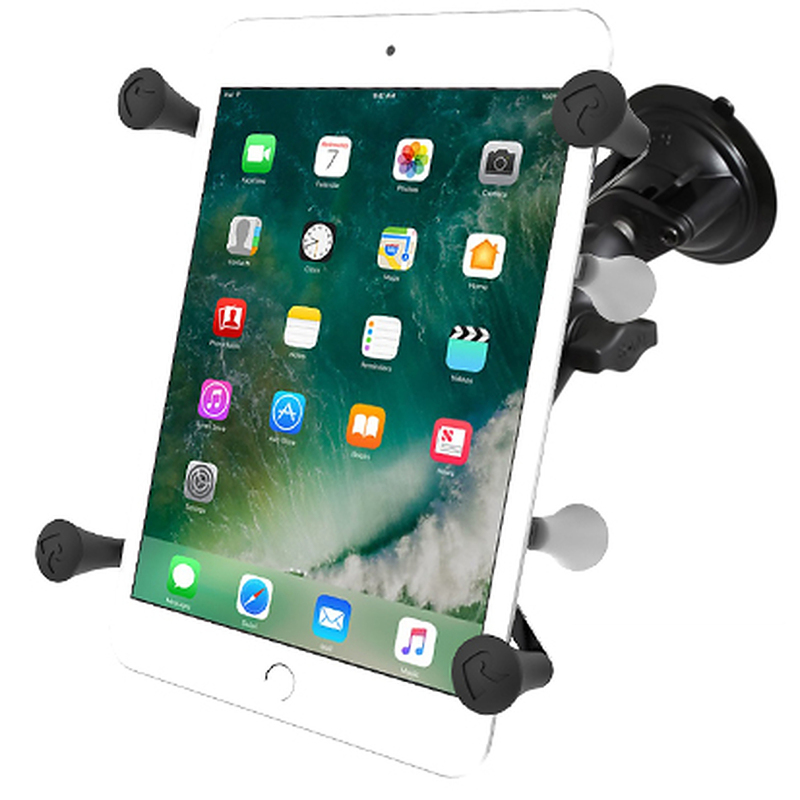 The suction cup, twist lock base is designed to have a strong hold on glass and non-porous plastic surfaces, including RAM adhesive disks. 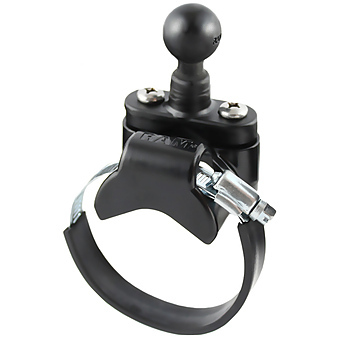 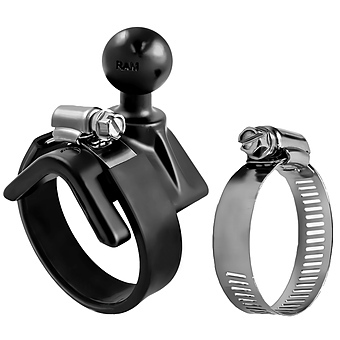 Designed into the mount is a 1inch diameter patented rubber ball and socket system with adjustment points at the both ends of the socket arm; this with a twist of the arm knob, allows you can move the mount to your optimum viewing position. 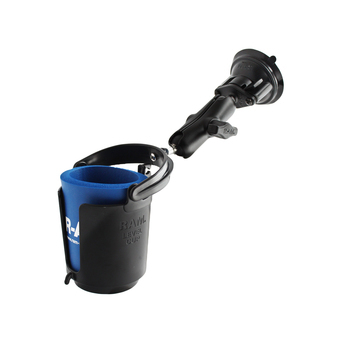 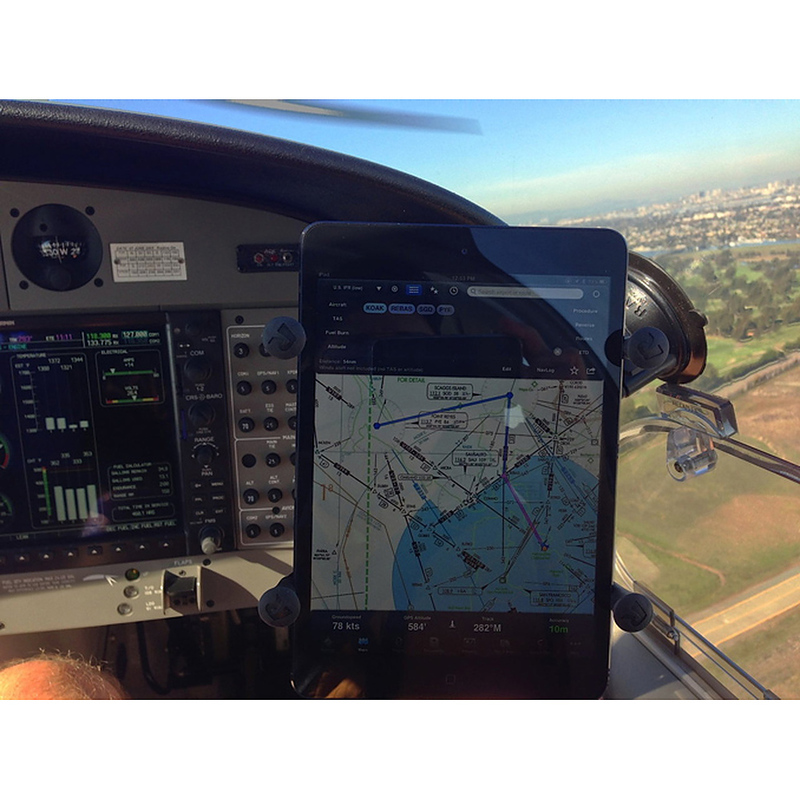 The spring loaded X-Grip® II holder expands and contracts, allowing for a perfect custom fit of your 7inch tablet. 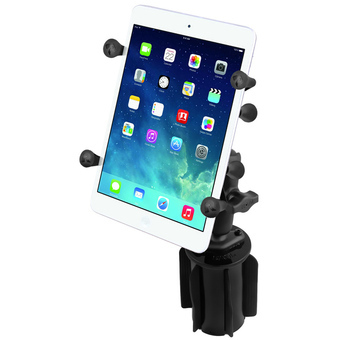 Included are extra easy access grip knobs, located on the back of the holder for quick release of your tablet.